If you're looking around for a ring for your special someone, you're probably noticing that there are a lot of different designs and choices out there. It can be pretty difficult to make a good selection when assailed with so many options, so a good place to start might be to look at the top engagement ring designers. Looking at rings created by the top engagement ring designers may not give you your final choice, but it can point you in the right direction. You can mention these designers when ring shopping, and the store staff will be better able to help you. In this article, we will look at a few of the best engagement ring designers and talk about their signature design cues and famous rings done in the past. We'll also talk about the price point for some of these top engagement ring designers, and what you can expect to pay for an entry level ring of this variety. Tiffany's is one of the most well-known jewelry producers out there, and for good reason, they have been in the business for a long time and produce quality stuff. Tiffany's is also one of the top engagement ring designers, and the Tiffany setting is probably the most famous and copied style around. Utilizing six 'claws', also known as crowns or coronets, to hold the diamond in place, this setting is extremely simple and understated, but very classy. 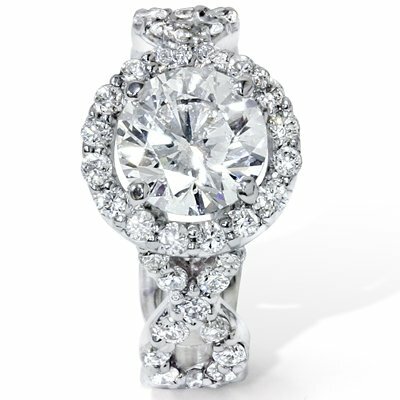 The Tiffany setting is very popular because it exposes the stone to a lot of light, maximizing the brilliance and sparkle of the stone. Tiffany is one of the top engagement ring designers for this reason: their rings simply seem to catch the most light. A lot of their styles feature prominent display of the stone with minimal amounts of metal getting in the way. Another reason that Tiffany's is one of the top engagement ring designers is that they are not afraid to push the envelope. Many of their ring designs, while classic in shape, are quite modern in design and construction. The stones are often shown to maximum advantage, and they are very securely fixed so you won't lose any bits and pieces. 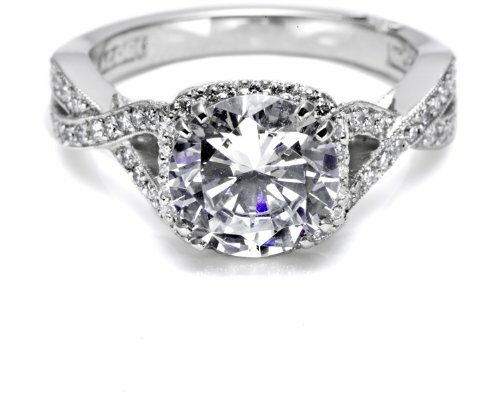 Another of the top engagement ring designers to choose from is Tacori. Tacori engagement rings are well known for being elaborate in design and inspired by vintage and antique cues. If you're looking for a nice and simple design, Tacori isn't the ring for you. The rings are often ornate, with delicate swirls and engravings throughout. The setting itself is pretty fancy as well, with the stone raised for maximum emphasis and visibility. The reason that Tacori is one of the top engagement ring designers is they are extremely subtle even in their elaborate design. Despite the huge amount of detail work in the rings, they don't look overdone or overly complicated. Most importantly, the diamond itself will truly shine in one of these settings. Tacori is one of the top engagement ring designers out there, with a history and heritage to back itself up. Pick out a ring in 925 sterling silver or 18 k gold, their two specialties. 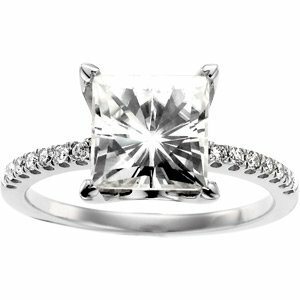 The next of our top engagement ring designers is Moissanite. Moissanite bucks the trend of current ring design by going with a far more angular look and multiple stones, as well as channel set smaller stones to really set off the vintage, antique look. The reason they are one of the top engagement ring designers is they are able to entirely distinguish themselves style-wise while maintaining a distinct, vintage appeal. One of the hallmarks of Moissanite is the three-stone engagement ring. Why would you want only one diamond when you can have three? Another significant cue is the angular, hard edges found on many of their rings. These hard lines are accentuated by square or princess cut diamonds for an intense effect.